There are few times when my paid job and my love job overlap. On Friday I ducked out of work and mad the mad dash in peak home-time traffic to what was the second-last leg of the Ben Hansen Australian Tour at Liverpool TAFE. No, he’s not a musician (though he did seem to like playing the Tibetan Singing Bowl… and talking to it) but is perhaps best known for his work as Team Lead on SyFy’s ‘Fact or Faked’; an investigative reality-style series that aired from 2010 to 2014 on cable TV. Fact or Faked is what I could only describe as the cynical middle child between X-Files and Mythbusters; a team of investigators that take a look at viral videos of various phenomena and urban legends of Bigfoot, Swamp Monsters and UFOs in America and around the world in an attempt to study their validity and plausibility outside of Youtube through experimentation and recreation. 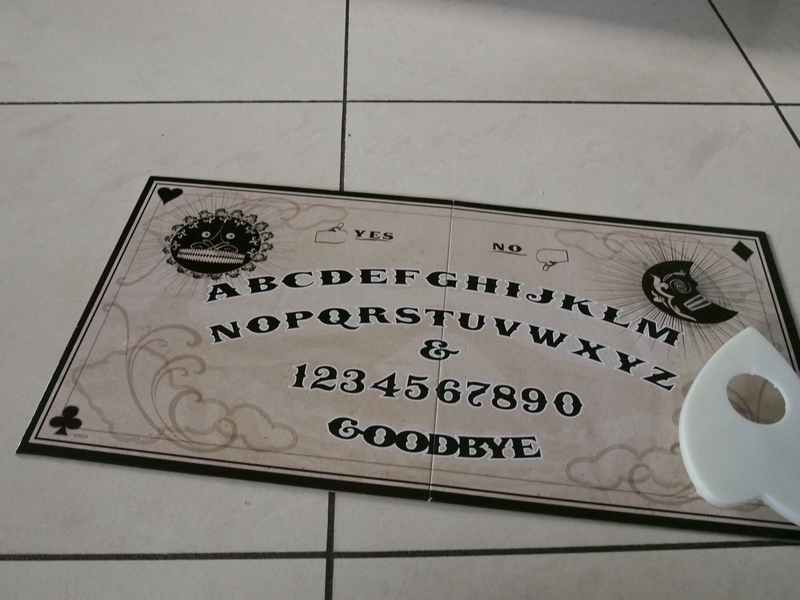 I’d always enjoyed the series – hello; Paranormal journalist? – so I definitely couldn’t pass up the chance to experience an investigation myself and check out his take on how we do things in Australia. 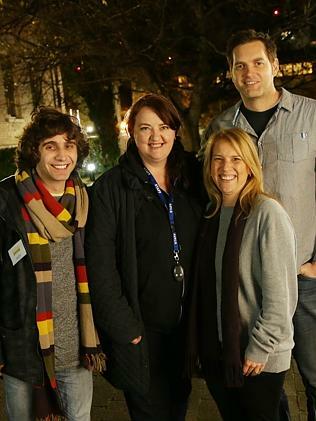 This has been the second year that Ben had come out to Australia – the last time being for Paracon 2014 in the historic Maitland Gaol – and this time around Paracon organiser Alex Cayas decided to pull out all the stops; with his ‘friendly giant’ (not to sound creepy but Ben stands at 6’5”…) attending and running events in Adelaide, Melbourne, and Sydney as well as guest-speaking at Paracon 2015 in Katoomba, NSW. I had the privilege of attending a talk with Ben last year held by Access Paranormal on identifying Hoaxes, specifically within the field of UFOlogy. One thing that I learnt is that when you attend a talk with him, you don’t just get a lecture – you get a story. Or several stories. Most of them involving encounters with government agencies that seem eerily ‘X-Files’ish. 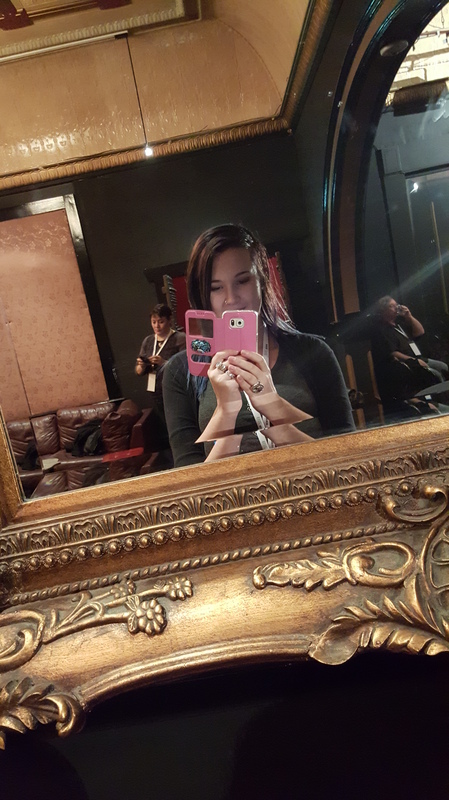 I didn’t catch all of the Paracon VIP events last year; this year however I decided to get my creeper on and attended two events on the Ben Hansen tour. The first being an interactive investigation at Liverpool TAFE held by APPI in conjunction with Paracon events, and the second being a ‘Yowie Experience’ with Attila Kaldy from Validate. So back to Friday night, and my mad dash for the TAFE in peak-hour; I was one of the early guests and for a brief 15 minutes I was under the impression that the group was going to be blissfully small for the night. A very musical Ben was sitting in a beautician’s pedicure chair in the TAFE classroom that was serving as basecamp and playing a Tibetan Singing Bowl and occasionally asking it questions cheekily. Not that this kind of behaviour could be blamed on him; after spending an almost non-stop 3 weeks of Paranormal events in three states I’m pretty sure that even I’d start talking to mystical instruments if I’d had that much constant exposure to Alex, who was acting as his chauffer, personal entertainer, butler, bodyguard and all-around minion (<3)! The group on Friday night was a fair size, but not too large so as to cause significant problems with gathering evidence and running experiments. 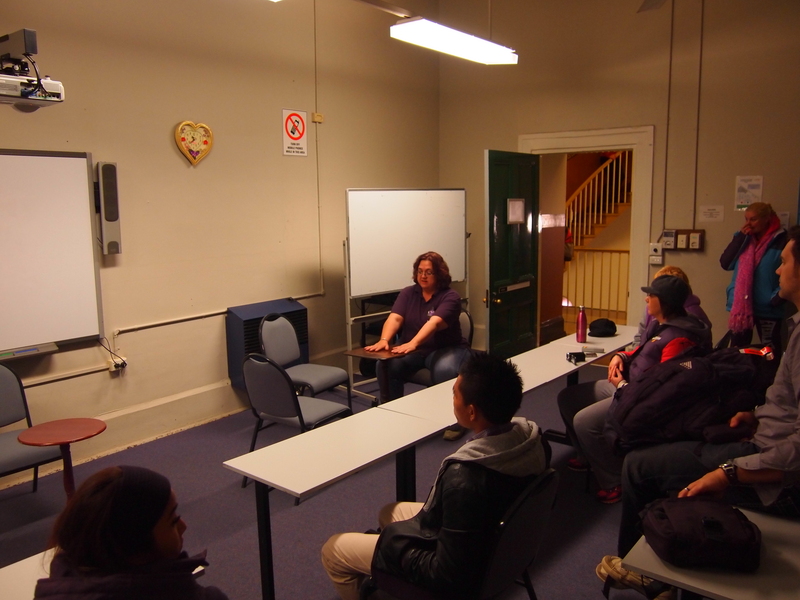 The night was divided into a tour and basic history of the TAFE, several hours of activities such as an Escape Room, Ganzfield Experiment and Paranormal Scavenger Hunt, and finally a little free time at the end to roam the buildings. Of course, with Anne from Eastern States Paranormal being there with her trusty Tipping Tables, there was also a fair amount of table-tipping that yielded some freakish, yet scientifically-reasonable results. In related news to this; according to Peet Banks – I am a Reptilian. Ben had brought along his Therm-App; (http://therm-app.com/#whatisinfo) a device that fits onto Android phones and gives them thermal camera capability. During the table-tipping my hands seemed to completely disappear into the table, whilst everyone else’s were a normal heat. Or maybe I really am a Reptilian!?! The investigation was incredibly well-organised, as most events run by APPI have shown to be, with helpers every step of the way through the TAFE to point out steps, hold open doors and a wonderful late-night supper that included Jam Doughnuts, Tim-Tams, Cupcakes, Hot Chocolate and *GASP* Joystix!!! The highlight of the night, however, was during a vigil in the Music Room – which used to be an old hospital ward – where a few of us saw a fully-formed black figure dart across the doorway to the veranda. In the fashion of a true Paranormal Investigator I dashed through the TAFE to the doors where we had seen the figure and attempted to see if anyone was out on the veranda. There was no-one, but given the amount of APPI’s ‘helpers’ that were around through the night, it wasn’t necessarily something that we could chalk up as Paranormal. There were several personal experiences on the night as well; footsteps in K-Block where the spirit of a young girl called Helen has been seen by students and staff alike, strange noises, and psychics that were getting some rather interesting information from Spirit. 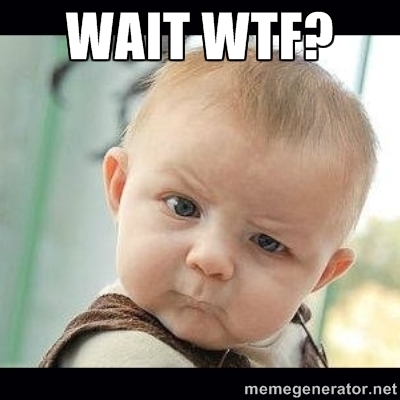 I ended up calling it a night around 3:30am, crawling into bed utterly exhausted at 4:30am… which meant that I promptly overslept into 3pm the next afternoon. Precisely the time I was supposed to be in Wentworth Falls for the last leg of the Tour. Who needs sleep when there’s Beasties to be chased?!? 2015 marked the second annual Paracon Australia and I honestly feel like I should have taken a few days off to recover. I’ve just spent the last two days shuffling around like a zombie and am currently at an average of 6 cups of coffee just to remain upright at my desk. 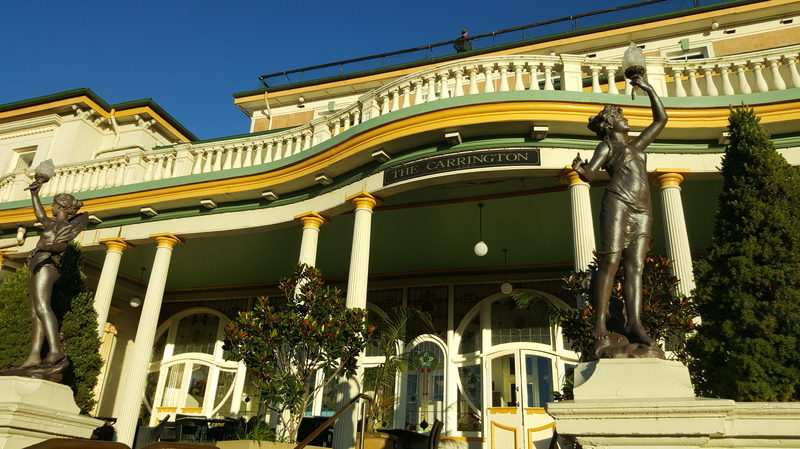 This year’s Paracon was held at the beautiful Carrington Hotel at Katoomba, NSW. 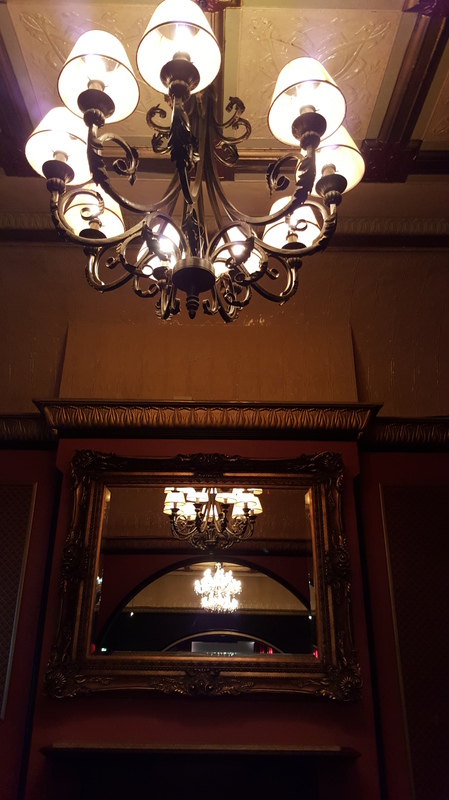 The building itself has been privy to more than a few paranormal occurrences in the last 130+ years of operation, and the elegant Victorian rooms were as much of a character at the con as the Guests and Speakers themselves. This year – as always – there was a wide range of speakers both domestic and international; it was evident that Alex Cayas and his crafty little team of minions had been cooking this up for a while, not content to ride on the coat-tails of last year’s success at Maitland Gaol. 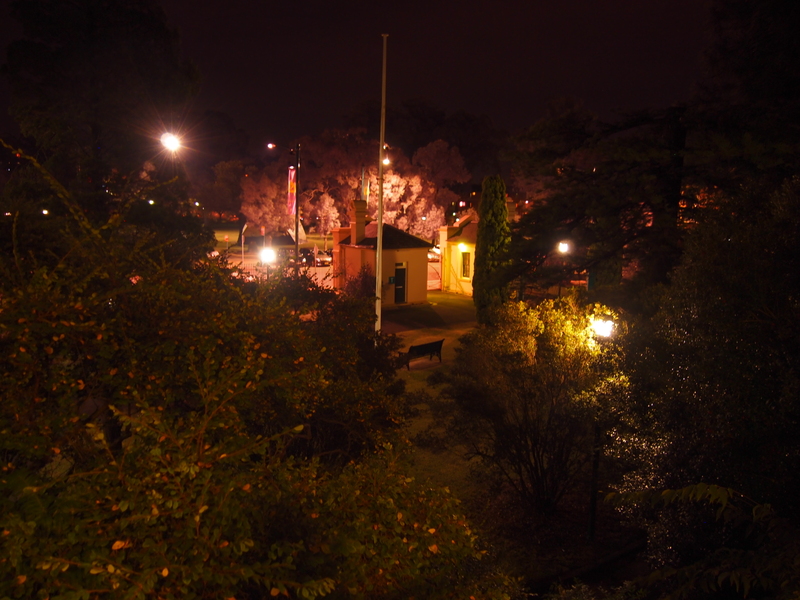 Of course – being Katoomba – one usually felt like one was walking into an open ice-chest as soon as you stepped into the open air to hurry from room to room for the seminars at the Katoomba Cultural Centre, Baroque Room at the historic Harp and Fiddle Bar and the Carrington itself. That being said, it didn’t stop the obvious signs that this year was a sold-out event. It wasn’t uncommon to see rooms packed to standing for a talk, leading to some incredibly engaging Q and A sessions once the initial talks had been presented. I started my weekend by walking into the Baroque Room and was honestly taken aback at how jam-packed the opening-night event was! It was literally impossible to traverse from the stage to the photo-booth at the back of the hall without becoming uncomfortably closely acquainted (or re-acquainted) with at least a dozen people. Being the wallflower that I am I ended giving up at the Candy Bar and consoling myself with several sticks of raspberry liquorice and a generous handful of jelly beans. The speakers this year were outstanding in their subjects. We had talks on Mediumship, Paranormal Equipment, Extra-terrestrial abductions, Shadow People, Hoax Profiling, Practical Demonology and Shamanism; a veritable candy store for this over-excitable big kid. This year – for me personally – was a little different than last year as I’d offered my meagre public speaking skills to help host and introduce the speakers in the most amenable way I could muster… but I’ll have to admit that my nerves did a bit of Riverdancing when the conference room was packed to standing! I still had time to catch different talks when I wasn’t hosting or helping out; I caught Andrea Kaldy’s seminar on Paranormal Mediumship – a topic I never grow tired of hearing her talk about – Paranormal Shamanism with Janette Donnellan, Demonic Possession: Possible alternative explanations with Beth Luscombe, The Search for Australia’s Bigfoot with Attila Kaldy, Tony Jinks’s seminar on disappearing, appearing, reappearing and replaced objects ( or ‘Jottles’), Spirit Communication with the Psychically Challenged with Anne and Rob from ESP, Shadow People; Fact, Folklore and Personal Experience with everyone’s favourite Kiwi – Mark Wallbank (sorry Craig ❤ !) as well as both of Dave Schrader’s talks on how to ghost hunt and investigate claims of the Paranormal and Paranormal Creatures and Folklore. Like I said; I needed a few days to recover. It wasn’t just the packed-out day-time activities that were on offer either. Firstly there was the screening of some of Moonlark Media’s newest content; Paranormal Investigators: In Tenebris and PI: Uncut. Another shot of the Baroque room… LOOK AT THOSE LIGHT FIXTURES! Keep a track of Moonlark’s Facebook page as they keep releasing awesome home-grown content; what we caught a glimpse of looks amazing so far – and this year is going to get even better! 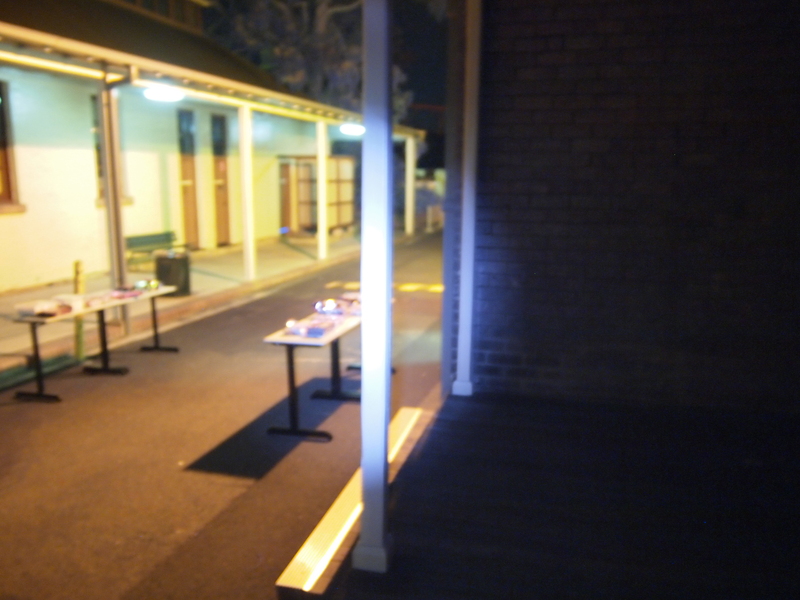 As well as special screenings of PI and APPI’s Ghosts of Casula (which was during the day on Sunday), much like last year there were several ‘After Dark’ activities that were on offer thanks to Blue Mountains local – Paranormal Pete. Given the choice between a skywatch or an investigation in Little Hartley, I opted for what I envisioned would be the warmer of the two (the mercury dropped to 1C before the clock struck twelve) and participated in the round-robin investigation of Hartley’s historic buildings. I won’t go too much into the details of how that went (honestly that’s a whole new blog post all of it’s own) but I can safely say – and I hope that those who attended can agree – that this years events definitely topped last year’s with style. The best thing perhaps was the fact that this was a fantastic opportunity for those of us who chase the creepy crawlies that go bump in the night to get together and discuss our love-jobs freely and without judgement. There are so few chances for the Paranormal to be discussed in an open forum that events like these are doing amazing things for the Australian Paranormal field and the community that drives it. If you didn’t get the chance to attend this year I have only two things to say; 1 – I’m very, very sorry that you missed out and you should definitely catch next year… and 2 – Bed up where you know that there is a group of Paracon-goers! Some of the best moments from this weekend were late nights spent up talking with other guests and speakers and listening to stories that were outside the seminars. From toilet stories to creepy encounters on flights across the world, the “campfire” stories that come out late at night when you’re bundled under blankets and jackets in the mountain air are just as wonderful as the stories that our speakers shared. It’s been so wonderful to see that I’m not the only person who had an absolute blast this year, and I cannot wait to see what Alex and the organisers have in store for next year! I’ve always been of the belief that things that are unknown can’t always be effectively tested or analyzed from already proven scientific frameworks because we are working off the assumption that this phenomena works in a way that we already know of i.e. physical manifestations of spirits are some kind of natural element that can be classified in a periodic table. By the same token; using already proven scientific methods to prove the existence of spirits is certainly a starting point, given the rock-solid faith that most of society has in science as a belief system these days (for that is essentially what it is, no?). I could only liken it to the way that scientists decide if there is life on other planets; if there is oxygen and water, then there is life… right? I suppose the point behind my micro-post is this; although familiar and proven frameworks can be useful in helping us investigate and discover, they should not be used to limit or define the boundaries of what can and cannot exist. If mankind worked that way, then Columbus would never have circumnavigated the globe, hundreds of years after the Vikings. Truth is a wonderful thing; always changing and evolving as we discover more about the world and the universe around us, but we should never stop at one point and say “Alright, that’s it… this is the end. This is the Truth.”. It borders on the edge of obnoxious or arrogant to assume that we have learnt all that there is to learn about life and existence. Adding to what has quite possible been one of the busiest years in the Australian Paranormal community, the Australian Paranormal and Spiritual Expo was an excellent kick-start to October. After the success of the 2013 Expo, the venue was changed to the historic Casula Powerhouse and Arts Center, about an hour south of Sydney. 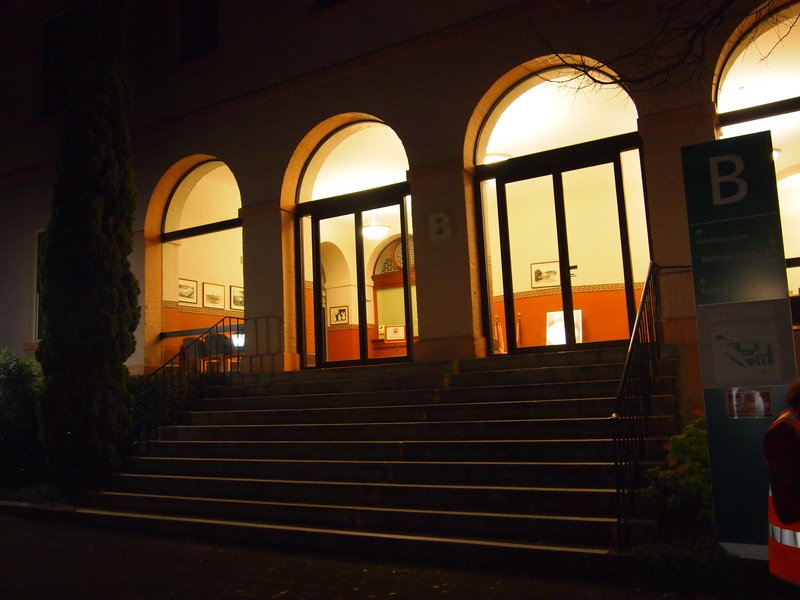 The Powerhouse was built in 1951 and has been a hotspot of Paranormal interest in recent years, which made it the perfect host not only for the Expo, but for the premiere of ‘Ghosts of Casula’ (which took place on the night of the Expo). ‘Ghosts of Casula’ is a locally produced and filmed documentary which delves into the experiences and possible spirits that reside in the Powerhouse and the lands that it sits on. On the day, the Expo was a veritable hive of activity. Stallholders included Paranormal teams from NSW and beyond, some of Australia’s most renowned psychics (such as Mitchell Coombes), Ufologists, Skeptics and sellers of Paranormal Streetwear. Yes. That is a thing. GHOST Paranormal Streetwear… Get on my body NOW! At times it was hard to move in the crowd, but it was fantastic to see how much the Expo had expanded from last year. Not only that, but it was great to catch up with so many of my Para-peeps that I rarely see. The diversity of attendance was exciting. There were talks held in the theatre of the Powerhouse on Mediumship, Paranormal Investigation, Skepticism, Energetic Healing and Tarot. 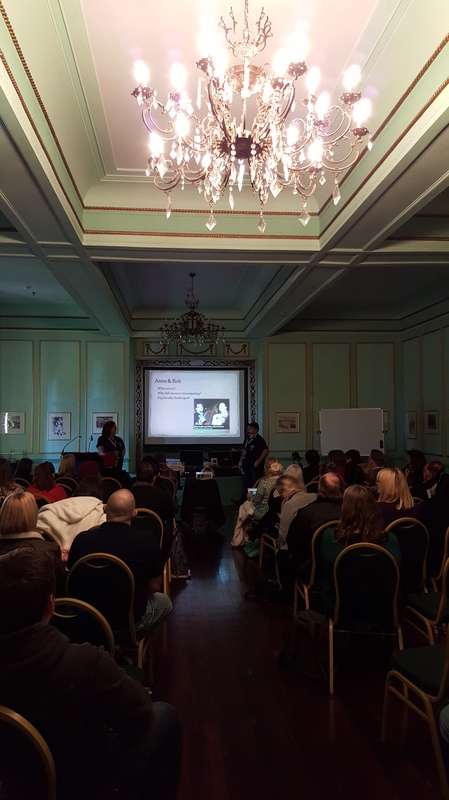 My first stop was a talk by ESP Paranormal, which ran through a few of the practical uses of Victorian techniques in modern Paranormal Investigation. It was interesting and somewhat informative to see how Australian Skeptics approached the idea of the Paranormal and perceived those who operate within it. I will admit, I did leave feeling a little empty, but definitely wanting more… perhaps that was the point? Especially within the Paranormal Field at the moment there seems to be such a small presence of ‘card-carrying’ skeptics, even though they are inexorably a part of the community as much as the UFOlogists and psychics. He doesn’t believe in Ghosts… so does that mean he doesn’t believe in the Matrix??? Paranormal friction aside, there’s no denying how beneficial events like these are to the Paranormal community. Not only for strengthening personal and professional relationships, but for just ‘getting it out there’; exposing the public to these different beliefs and alternative lifestyles. How hard it is to escape from places. However carefully one goes they hold you – you leave little bits of yourself fluttering on the fences – like rags and shreds of your very life. So often in the Paranormal field there is such a huge emphasis placed on the workings of an investigation. The equipment, the evidence, the method, how haunted a location is or not; it’s not very hard to get caught up in the importance of finding out what others have left behind (or what others have been left behind). But what about the location itself? If you ask any investigator what their favourite location is they will most likely tell you about a location where they had lots of activity. You know what though? For me it’s not the significance of the activity that we get that, but the experiences that I have there that make such a huge impact on me as a person. When I first started investigating – in fact my very first investigation – I’ll never forget my reaction to the first spirit voice that I ever heard; it was at a medical facility in Goulburn and one of the investigators I was with had taken out an SB-7 Spirit Box. For those that don’t know; a Spirit Box is a speaker that is hooked up to a radio receiver. The receiver will scan through channels of your choosing (preferably without a lot of chatter) and play them so fast they sound like quick short bursts of white noise. Then blow me down and toss me sideways, we heard a clear ‘Hello?’ about 15 seconds later. That was the very first time I’d ever heard an EVP response and I nearly fell over. 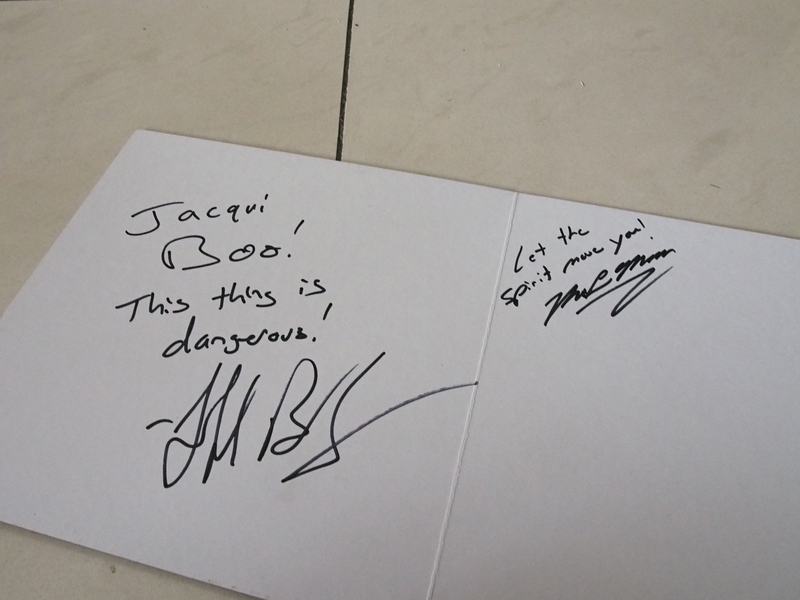 Seriously, I literally almost fell over. My knees turned to liquid and I sank down a little against the wall, whilst I broke out into immediate cold sweat and my eyes stung with tears of god-knows-what. How can you explain what goes through your mind the first time you hear communication from the other side? Blank. Nothing but blank. My world did a little shudder and exploded similar to the silent explosion of a star going supernova. That weekend was rather volatile to my little world as I knew it, but you know the thing that stuck to me the most? The location. Large brick buildings that reminded me so much of the retirement home that my mother works at. It was almost comfortable (at least when the lights were turned on) and at the same time terrifying. It was a wonderful dichotomy of positive and negative surroundings; from the large windowed room that simply exuded happiness to the tiny labyrinthine building at the back of the property that – to this day – houses the most disturbing thing that I’ve ever crossed paths with in my life. The scratches on the back of the doors were chilling, and I’ll admit that I did the stereotypical ‘tracing them with my finger’ action, because it was irresistible. Places like this are just as important as the phenomena that we investigate, because they are a veritable Pandora’s Box in building form. I suppose the whole point to me writing this tonight is that I’ve heard that one of the haunting (and rather haunted) locations that I have been to several times is set to be torn down any day now. Now it’s not a place that I’ve frequented a lot. Nestled in the mountains west of Sydney it’s been abandoned for quite some time. I think I’ve been there a handful of times, but each time I walk through the weeping gum trees, the overgrown gardens and the beautiful colonial-style administration building, I’m always taken with how the age and decay has made the place even more beautiful than when it was operational. Yes, there is a beauty in seeing time doing its work on man-made objects; how it exploits the weakest parts of a wall and warps something that was once so structurally sound into a more sinister structural deathtrap. What perhaps is the most beautiful is seeing how the natural landscape starts to reclaim the location itself. Similar to a body rotting in the ground and turning back into earth, any old building will eventually become part of the landscape again. As for Paranormal Activity; the place has never failed to deliver – although lately it seems as if whatever is there may be sulking or giving us the silent treatment. 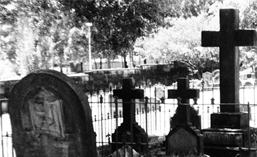 We’ve had apparitions, audible voice phenomena, poltergeist activity and EVPs galore. So that’s my mushy moment. Whilst I really am sad to see this location go, the investigator in me is screaming “OMG INVESTIGATE IT WHEN IT’S DEMOLISHED!” on the inside (We must make the most of the situation that we have, right?). Given the plans that we have been told are in order for the location, it will be interesting to see if there is any effect on the spirits or activity that surround the area. In the meantime; the next time you go to a location don’t forget to take a moment to appreciate the place as it is; a living piece of history. Because sometimes they can be just as touching and mysterious as the spirits that we come across!